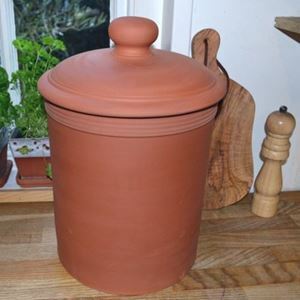 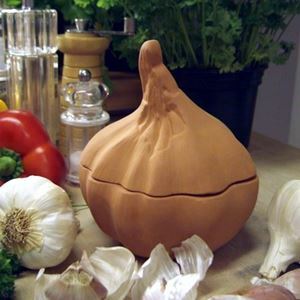 A Terracotta Bread Crock offers natural benefits for storing bread, providing ideal conditions for keeping bread fresh & prolonging shelf life. 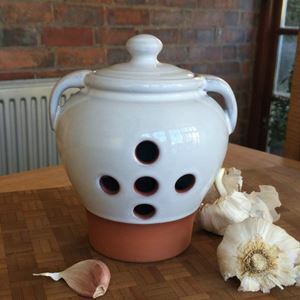 The unglazed natural terracotta interior absorbs moisture whilst keeping the bread cool. 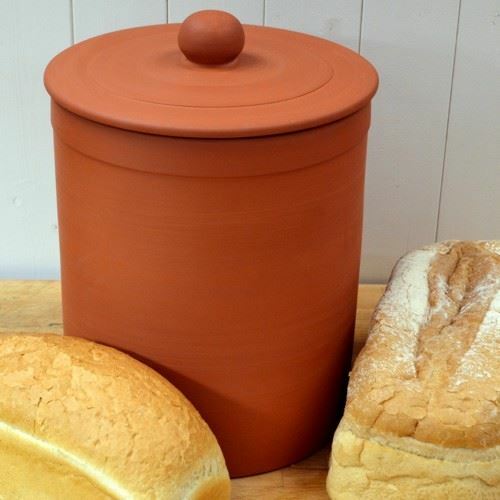 For this reason storing bread the traditional way in a terracotta bread crock is considered to be one of the best methods. 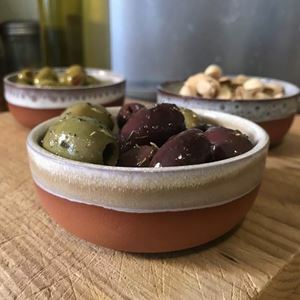 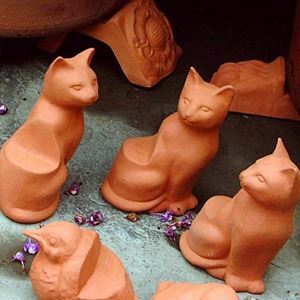 Handmade in the UK at our pottery studio in Newark from durable English terracotta clay.